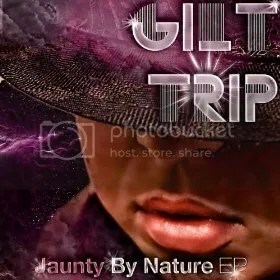 Gilt Trip releases newest EP ‘Jaunty by Nature’ | Sonic Smash-Music! The music duo known as Gilt Trip has released their new EP record, “Jaunty by Nature,” to broad critical and fan acclaim. The album, which comes to the world from the No Salad Records music label, contains six original new tracks for a total of approximately 35 minutes’ worth of excellent listening time, making the album a very comprehensive EP, or rather, a short full-length record by many estimations. The sound of “Jaunty by Nature” is indicative of Gilt Trip’s characteristic house music sound, which has the warm tones of analog mixing combined with the cutting-edge sharpness of digital instrumentation. They deal in old-school groove loops and high-energy dance beats that practically force the listener out of his chair. Hearing Gilt Trip’s EP without moving one’s body is impossible. Deep rhythms like those found in “Get Em High” and “Bring Back the Drop” are unstoppably infectious. Legs must leap. Fists must pump. There’s nothing for it. Gilt Trip, originally from Chicago and now based in California’s Bay Area, is comprised of the talents of top-notch composers Jess and Mike. Jess has been a DJ spinning bass and house music since the age of 15. Her stage moniker in the 1990s was DJ Inertia. Mike is a longtime Chicago musician and has been playing guitar since the age of four. He continues to tour with several acts and has been key in keeping Gilt Trip’s music new and innovative through the use of technology. They name as main artistic influences the likes of seminal artists such as Bassnectar, Jantsen, AFK, Bare, DJ Rashad, and DJ Spinn. The EP “Jaunty by Nature” by Gilt Trip is available online worldwide now. This entry was tagged gilt trip, mondotunes.